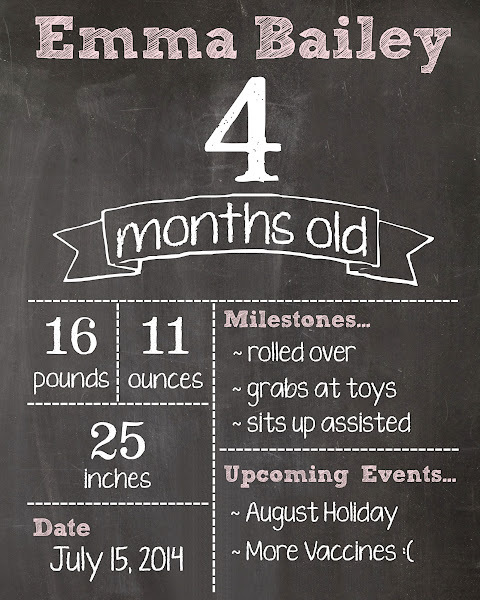 Emma insisted that I publish an update to her 4 Months post. We had an official weigh in at the doctor's office. She is 16.11lbs. and 25... almost 25.5 inches. 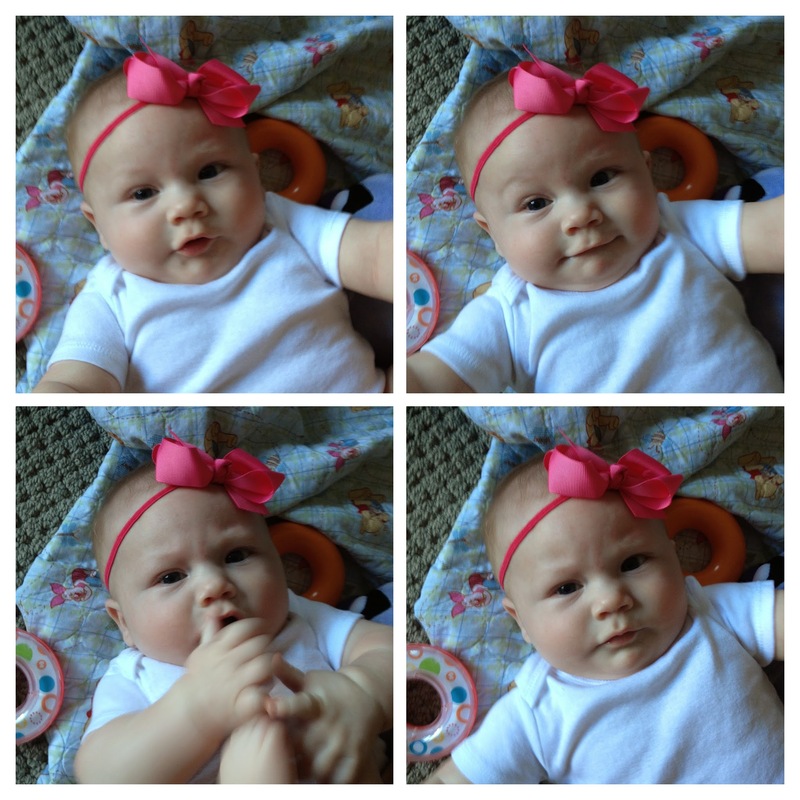 This puts her in the 85th percentile for both stats. 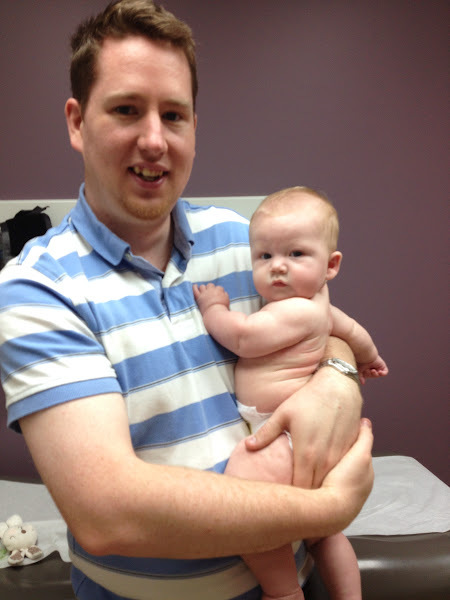 The doctor was impressed with how alert she was and said she seemed more like a 6 month old. She has "stranger recognition" which usually comes at 6 months. 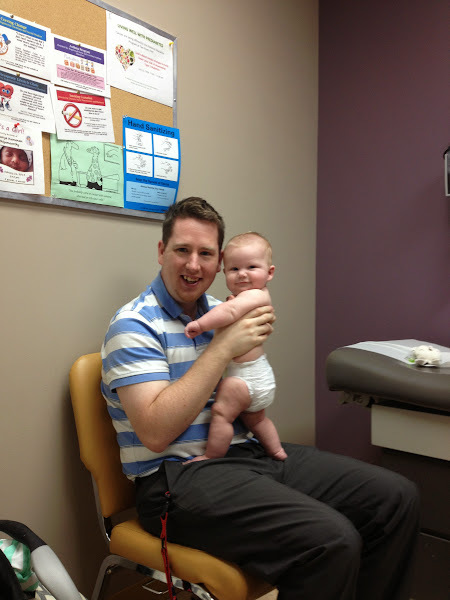 Emma was not too happy with the needle pricks but calmed down quickly when daddy picked her up. Overall she is doing really well. Rolling over - one way - back to tummy and tummy to back. Sleeping good. Grabbing at toys and learning to use her hands efficiently. All you can ask for is a healthy and happy baby. We are thankful Emma is!